I am a late beginner in ballet. I have taken jazz since I was ten, so I know how to do pirouettes (with minor differences), fouettes, piques, and a few other moves necessary for jazz. Moving on, I started ballet at age 13, and now (at 14 3/4) my ballet teacher is discussing moving me up to pointe. I take lessons both at my studio that I've been at one day a week (ballet, jazz, hip hop, modern), and another (also one day a week) that's purely ballet. I love ballet. I wake up and think "dance" and go to sleep and think "perform." I am a freshman. What skills would be necessary to enter a summer intensive at a relatively known facility? I will work dawn to dusk to achieve these goals. Please. Thank you for contacting me, it's great to hear from you. You clearly have a strong passion for ballet and it is great to have this determination. my determination and will to learn, which the ballet mistress noticed and immediately focused to work with me and later bring me into the ballet company which was closely associated with the summer course. I also entered summer courses when I was younger at different well known places to try and learn as much as possible. 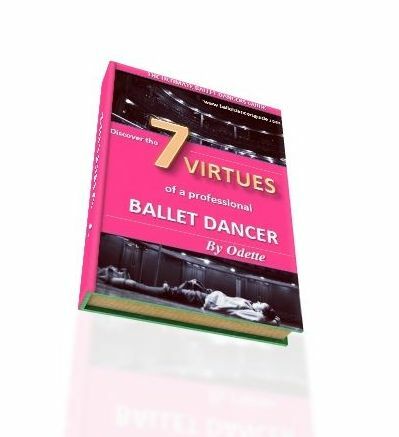 It can be a really fascinating experience where you gain so much new knowledge as a dancer. Especially when you are a younger dancer, yours skills in ballet are not expected to be perfect to enter a summer course. The teachers will be looking at your facility and how they can work with you to improve. Therefore, some of the most crucial skills are your work ethic, how quickly you can pick up corrections or exercises and how you can communicate as a person too. You don't have to stay shy as a dancer, especially when you are learning it is good to talk to your ballet teachers and understand even further to help you progress. Of course, you will need a good basic technique in classical ballet with precise footwork, good posture and co ordination. Yet these are all skills which can be improved with more ballet classes, so it is a gradual process of improvement. It is not worth getting too stressed, as that won't help you improve as a dancer. Take a moment to remember your passion for ballet and let that guide you along the way for now.